Gov. Chris Christie can’t catch a break on Twitter. 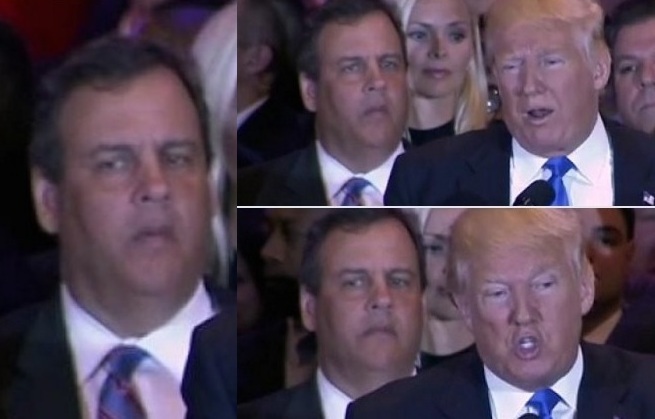 Social media is once again jumping on Christie for the faces he was making while standing behind Donald Trump on Tuesday night, CBS NEW YORK reports. Christie joined Trump on stage to celebrate the Republican front-runner’s sweeping the five Northeast primaries. During Trump’s Super Tuesday press conference in March, many mocked the New Jersey governor on social media for the facial expressions he was making.